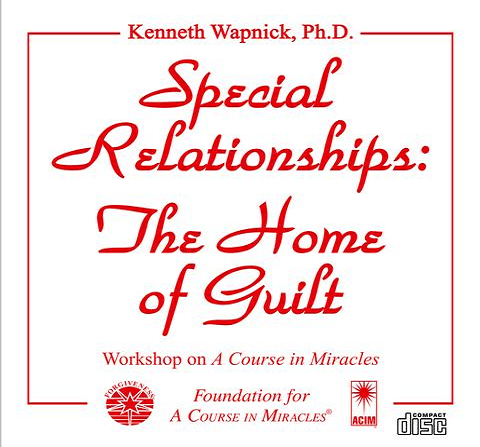 The current feature in this series is "Special Relationships: The Home of Guilt," from the workshop of October 2001. The discussion focuses on how special relationships originate in, and are sustained by our need to defend against the pain of our guilt coming from the belief that we exist apart from God. The insidious and painful dynamics of specialness are explored as they develop on interpersonal and international levels. The undoing of our guilt through forgiveness is explained in the context of our moving from separate to shared interests.